KARACHI: Pakistani women are known for being strong, intelligent and incredibly resilient human beings. This was the main theme of a ceremony organized by showbiz Legend and Chairperson of FocusPk 19 Atiqa Odho at Sindh Governor House on Tuesday, Imran Ismail Governor Sindh along with his wife was the chief guest on this occasion. FosusPK19 is an entertainment and production company which organized a mesmerizing and beautiful event in connection with Women Day titled “Women in Focus”. The PAS-2017 award winner, FocusPk, arranged this impressive, well attended and star-studded ceremony at the Sindh Governor House in Karachi. 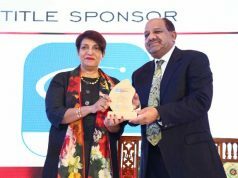 Atiqa Odho, Chairperson of FocusPk and Misbah Khalid, a notable television producer and director, and Project Head of this freshly launched initiative, arranged this wonderful ceremony. Atiqa Odho hosted the whole ceremony in a lively style and in her opening speech, she pointed out that February 12 is actually National Women Day for Pakistan while March 8 is International Women Day. 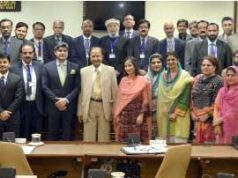 Atiqa said, “Women in Focus” is a platform to promote the mission and activities of the passionate women. She appreciated cooperation and good gesture extended by Governor Sindh Imran Ismail who offered Governor House to celebrate National Women Day and Awards ceremony in a befitting manner. “Women in Focus” launching highlighted dynamic women leaders who have managed to scale great heights in a male-dominated industry and have helped break the glass ceiling for other women. The gist of the wonderful event was to celebrate those inspiring women who successfully paved the way for equality and empowerment. After having heard from iconic women, I reason out that all successful women had the opportunity of having a mentor beside them who helped them to overcome challenges and fulfill their aspirations, which concludes that mentoring helps in building self-confidence as well. 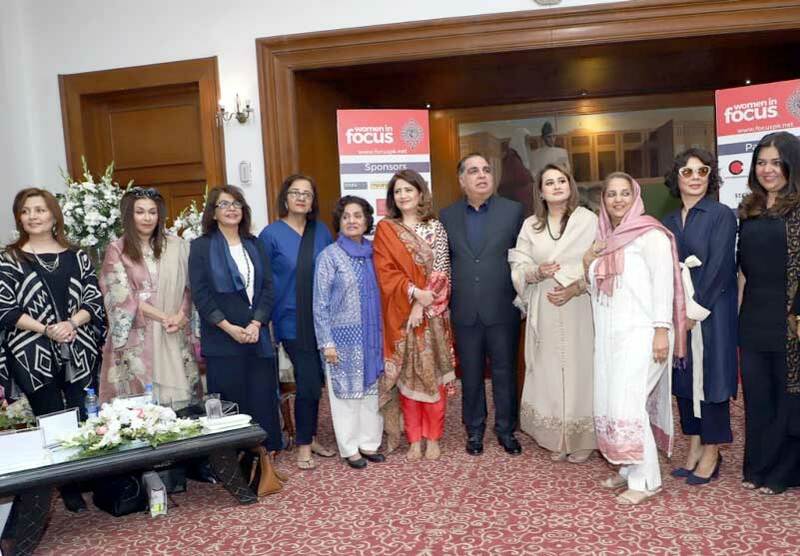 On this occasion, legendary women like Amena Khan, CEO Dream Team Films, Shazia Syed, Chairperson & CEO Unilever Pakistan, Sharmeen Obaid Chinoy, CEO SocFilms, Seema Taher Khan, CEO Airwaves Media, Saira Kazmi, renowned TV producer and director, Haseena Moin, notable playwright, Shamaeel Ansari, entrepreneur & fashion designer, Seema Jaffer, CEO Bond Advertising & Bond PR and Nabila Maqsood, the hair maestro shared their success stories with the participants of the ceremony. At the end Governor Sindh along with his wife distributed Awards among the award-winning women.